WASHINGTON, D.C., April 2, 2019 – The mission of the Coalition on Adult Basic Education (COABE) is to provide leadership, communication, professional development, and advocacy for adult education and literacy practitioners to advance quality services for all adult learners. COABE’s new partnership with Google’s Applied Digital Skills program aims to match adult educators with the training and curriculum essential to meet the workforce skills their students require. 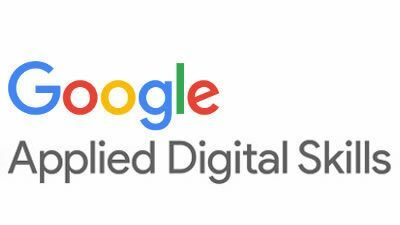 Through this partnership, COABE will enable extensive sharing of Google’s Applied Digital Skills curriculum on all its platforms, including website, eblasts, mobile app, virtual conferences, professional development webinars, and national conferences. This initiative will enable COABE to collect and showcase stories of adults and adult education institutions that use Google’s Applied Digital Skills, with a focus on workforce development. This reinforces COABE’s mission of connecting adult learners with the training and skills they need to succeed in family-sustaining jobs and careers. "Applied Digital Skills is at the center of Grow with Google, our initiative to create economic opportunities for all Americans, and we are excited to begin this partnership with COABE,” states Shahla Naimi, Google Program Manager. “Americans with a high school diploma, or equivalent, earn an average of $10,000 more per year than a non-graduate. By sharing our free online curriculum, we hope to support Americans looking to upskill towards high school equivalency with critical digital skills." Another aspect of this partnership calls for the creation of professional development bootcamps for adult education instructors in each state. Fifty sites across the U.S. will be selected to participate in these exemplary, free professional development workshops, which will help adults prepare for jobs. COABE plans to showcase the success stories that result from this partnership and training, sharing with the Department of Education, with legislators, with business and industry leaders, and with state and national leaders in the field of adult education. COABE’s mission is to inspire educators so adults succeed and communities thrive. The Coalition on Adult Basic Education (COABE) represents the field of 55,000 adult educators and provides a variety of services, including professional development through annual, state-of-the-art national conferences, more than 50 webinars annually, and publication of the COABE Journal . Visit www.coabe.org for more information. Contact info@coabe.org or shahlan@google.com for more details.